Microsoft may be running shorter on genuine new surprises for this year's E3 expo, as Australia's ratings classification board shines a light on new, unannounced Xbox 360 and Kinect games. 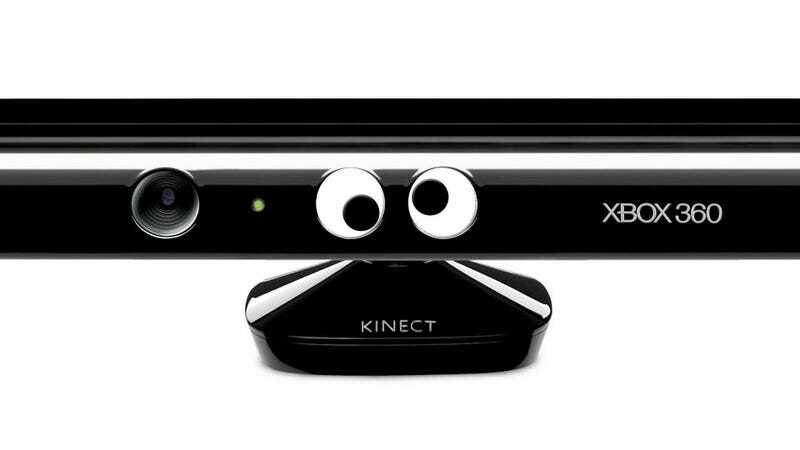 That said, I'm dying to find out what Kinect Googly Eyes is. Kinect Googly Eyes is just one of a handful of new titles tied to Microsoft that's had its name revealed by Australia's OFLC. Some are pure mystery, like Crimson Alliance from developer Certain Affinity, developer of multiplayer components for Call of Duty: Black Ops, Halo Reach and Left 4 Dead. They also made Age of Booty, of course. There's not much to go on with names like Fusion: Genesis and Kinect Me, other than that the latter is clearly a new Kinect title. Two additional Fusion titles (not Fuzion), Sentient and Vault, were recently trademarked by Microsoft. Tetris Party Challenge? That's probably an Xbox 360 spin on Hudson's WiiWare game, Tetris Party. Additional titles Hole In The Wall and Fruit Ninja Kinect were similarly outed via game rating entities. A new Alan Wake title and Forza World have also been rumored in advance of E3. Don't be surprised if some or all of these make an appearance at E3 2011 in a few weeks. &apos;Human Tetris&apos; Coming To Kinect?